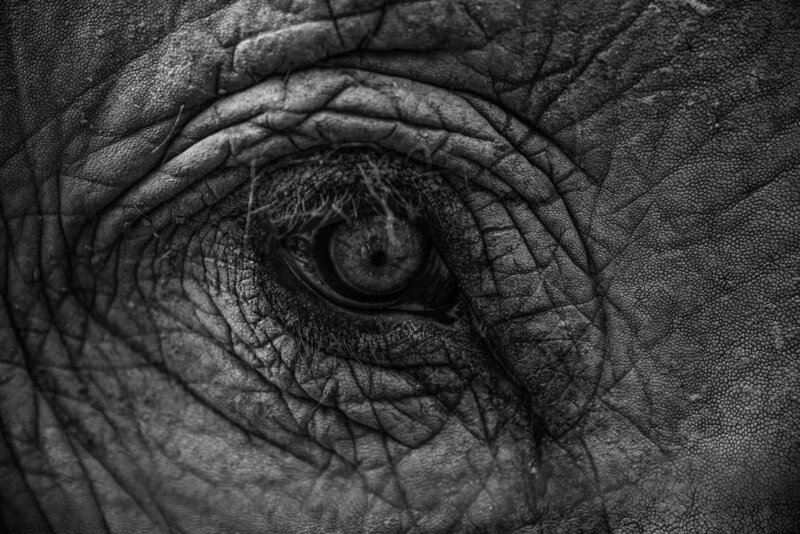 A couple weeks ago I collaborated with Tiger Tops, a Nepal based eco-tourism company, on a project to photograph their elephants. Tiger Tops first started as a hunting lodge in Southern Nepal in the 60’s. It wasn’t until 1971 when Jim Edwards, a British adventurer and conservationist, transformed it into a wildlife viewing operation promoting responsible tourism. Jim’s legacy is now continued by his sons Kristjan, Jack and Tim. You can read more about the amazing history of Tiger Tops on their website. 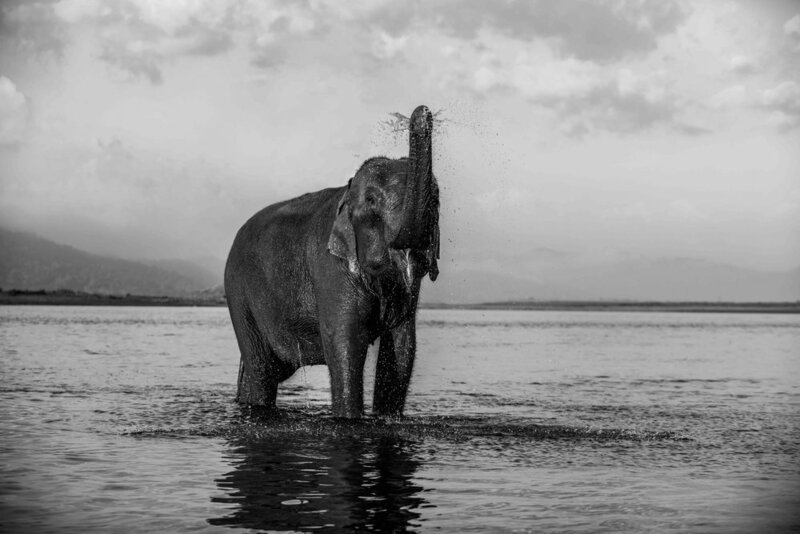 Growing up in Nepal, it was always a special treat to go spend time at Tiger Tops, exploring Chitwan National Park and especially being with their elephants. 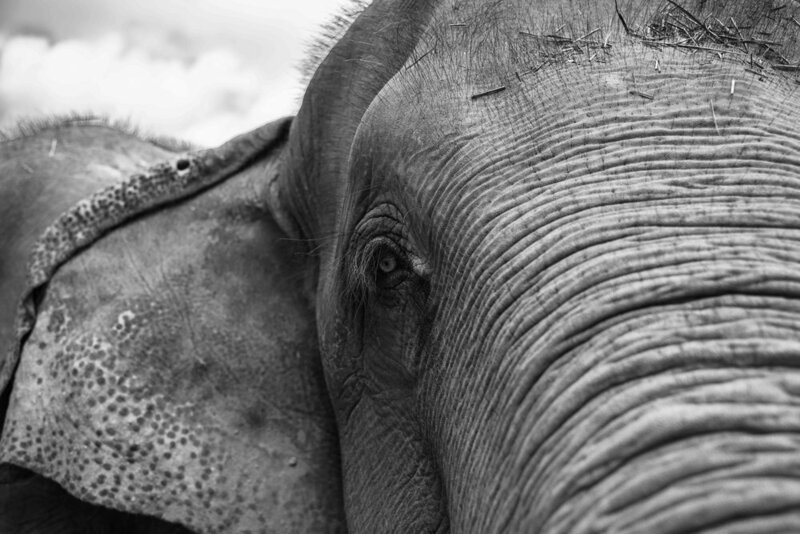 It means even more to return now as an adult and work with them to help promote the welfare of their elephants. The Elephant Camp, just a short walk from Tharu Lodge, is home to 10 Asian Elephants; the oldest, Laxmi Kali, is believed to be around 70 years old. She has to be hand fed because she has lost all her teeth. For Tiger Tops the health and wellbeing of the elephants is a top priority. 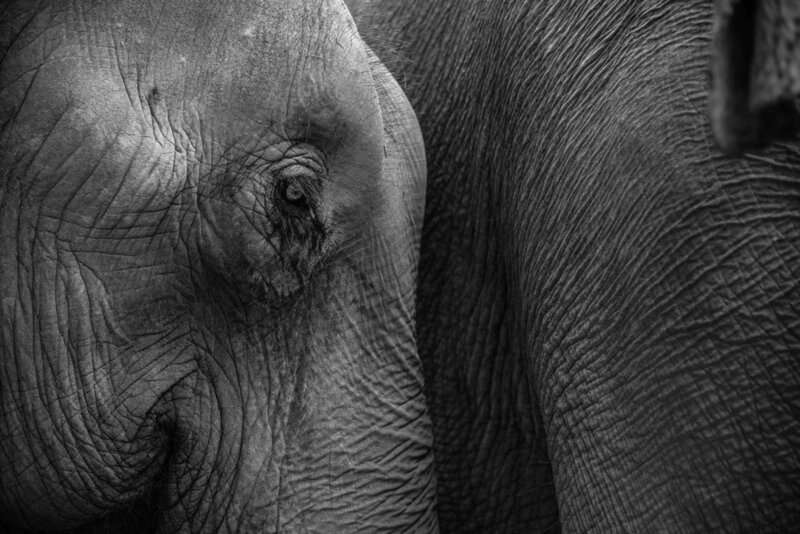 Tiger Tops is “Nepal’s first and only company to offer responsible elephant experiences” (Tiger Tops 2019). In 2015 they put an end to all elephant back safaris and instead offer elephant walks, a more integrative and personal experience for their guests. Upon visiting the elephant camp, which contains 18 acres of land, you will notice the large paddocks built specifically to allow the elephants to wander freely and socialise (an important factor of ensuring their welfare). You will also notice that the elephants are unrestrained and their mahouts are forbidden from using bull hooks to control them. This is uncommon in Nepal as the traditional way of stabling elephants is to chain their feet and securing them to a pole. Tiger Tops definitely leads by example and hope to transform the welfare of domesticated elephants in Nepal through their own elephant concept. They are currently working to further improve the stabling conditions at the Elephant Camp and have raised money to build watering systems in each corral. Their next step is to build shelters. Therefore, all the money I raise from the sale of these prints will be donated to this specific cause. Please visit ‘My Store’ page to purchase them and help improve the welfare of the elephants.